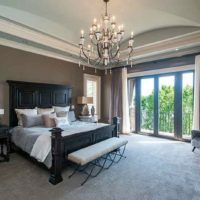 Sitting areas, statement headboards, and generally relaxing colors are the trend for bedrooms, according to industry experts. 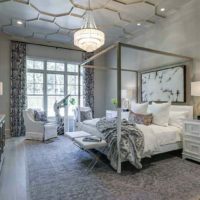 Wallpaper is one solution to setting the mood in the bedroom, according to Bohnne Jones of Decorating Den Interiors. 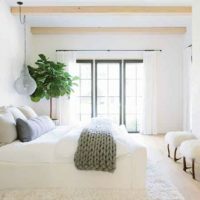 “You can select a lively, dramatic paper for the focal bed wall, with a more relaxing or serene paint color on the other walls, which is what will be seen from the bed,” she says. 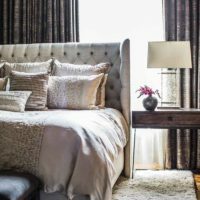 Experts say that today’s fast-paced lives often leave the bedroom as perhaps the most important space for downtime. In this haven, homeowners want aesthetics that are restful, simple, and perhaps elegant. 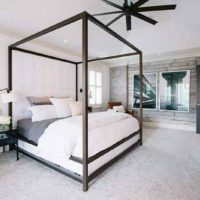 Mixed furniture, fireplaces, and wood beams are being used to add warmth to bedrooms, says Emily Yoakum of Jonathan Miller Architecture & Design. 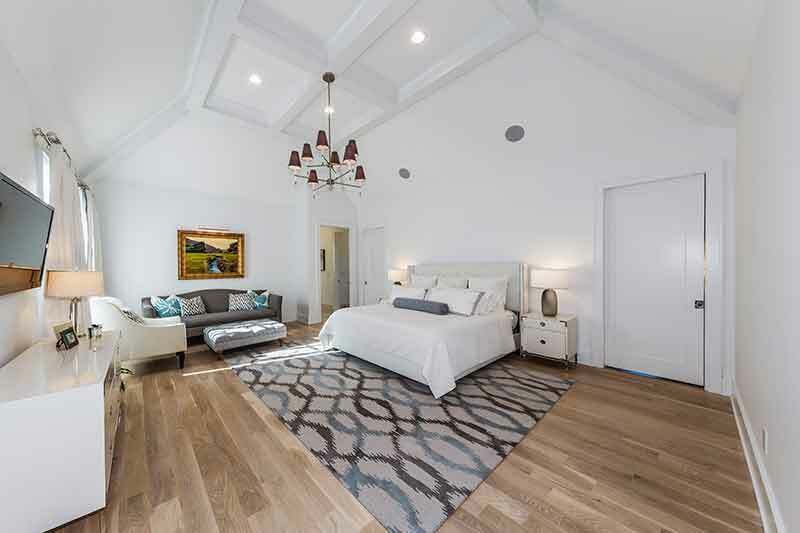 Many homes include an additional sitting area in the bedroom for relaxing, she adds. 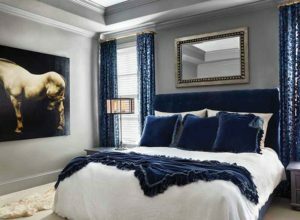 Amanda Sweeney of Just Design This reports that neutral colors remain popular, with a pop of bold color such as turquoise. In addition, according to Jones, “Pink—blush and a bit more ‘taupey’ are fantastic in a serene bedroom. Pink is the most instantly relaxing color. I love pink with the grays that people have found themselves with. Velvets and other soft-handed fabrics are very strong. “Geometrics are still available, but other, abstract patterns are moving in. The hottest item is florals, in both prints and embroideries—realistic, watercolor looks, and stylistic, and being used in all styles of design from traditional to contemporary,” Jones says. Walker reports she’s seeing fabrics moving away from smooth to woven and even fuzzy textures. “This brings an added dimension to the room,” she says. 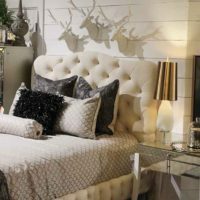 Bed styles range from upholstered headboards or upholstered beds to the simple lines of modern poster-type beds. 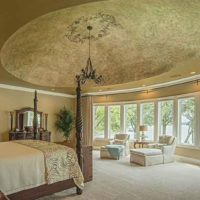 Detailed ceilings, wallpaper backgrounds, and other wall treatments including alcoves are also being seen.